The 3-day Fundamentals of Document Control training course is a one-of-a-kind course, designed and developed by Mireaux based on more than 17 years of handling documents for organizations around the world. This course is considered not just one of our best courses but also one that transforms people. Read more about Class Details. This 3-day API Lead Auditor Training course provides information on leading an audit team that will provide attendees with a firm understanding of the auditing process, how to prepare, plan, and executes Internal Audits; and how to lead a team of Internal Auditors. The 3-day API Lead Auditor course is essentially a 1-day extension to the 2-day API Auditor Fundamentals training course. Read more about Class Details. The 4-day API Q1 Practitioner builds upon the 3-day API Fundamentals, with the addition of 1 day where the class dives deeper into the valuable concepts of risk assessment, management of change, contingency planning, and hands-on creation of a quality plan. Read more about Class Details. If you’re looking for the 3-Day Fundamentals course, click here. 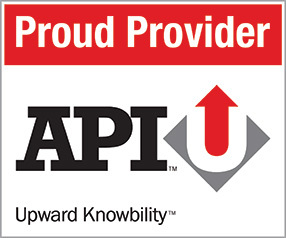 The 3-day API Q1 Fundamentals provides a good understanding of API Q1 and its application. From documentation requirements, to risk assessment, and preventive maintenance, amongst other required topics, this course ensures that you have all the tools needed to implement a sound Quality Management System that complies with all requirements of API Q1. Read more about Class Details. If you’re looking for the 4-Day API Q1 Practitioner course, click here. The 3-day ISO 9001 Internal Auditor course provides attendees with a firm understanding of the concepts that lead to effective audits through workshops, case studies, and open discussions. Role-playing audit scenarios helps develop a hands-on understanding that will facilitate the implementation of a good QMS and audit program. Read more about Class Details. The 2-Day ISO 14001 Implementation training course provides a deep look into the ISO 14001:2015 Environmental Management System. The course is filled with practical exercises and real application examples, to help participants develop a hands-on understanding that will facilitate the implementation of a world-class Environmental Management System. Read more about Class Details. Mireaux’s 3-day Fundamentals of Document Control course provides instruction in the creation of a document control system, the different kinds of documents an organization may use, the creation of documents, and how to handle audits of documentation required for ISO as well as API Q1 9th Edition and API Q2 compliance. Read more about Class Details.